Don't get us wrong-carbon is awesome. But when it comes to maintaining peace of mind while you're getting rowdy, nothing compares to the confidence of our alloy Stumpjumper Comp 29/6Fattie. It's light, rugged, and packed with all the spec and travel you need to run it wide open out on the trail. It features an M5 alloy construction that's lightweight, durable, and plenty stiff and compliant, while SRAM's most durable one-by components have been hand-selected to ensure that you get the most performance over rugged terrain possible. 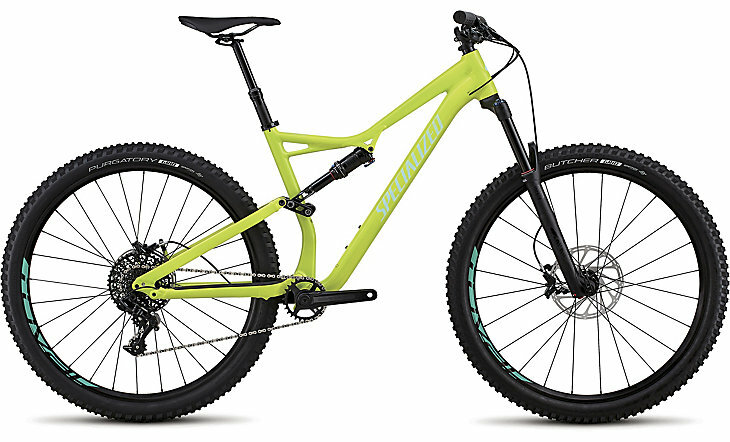 To make things even better, the Stumpy's design also allows you the opportunity to toggle between 29-inch wheels and 6Fattie wheels (not included), allowing the ultimate in configuration options for the trail at hand. 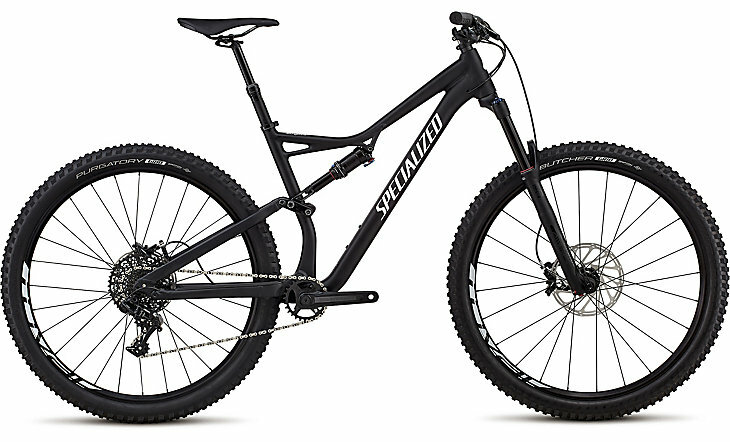 And when you factor in our proprietary Rx Trail Tune at the shock, plus an aggressive, trail-eating geometry that features absurdly short chainstays, a roomy top tube, a low bottom bracket, and a slacked out front end, you get a trail bike that you can be confident in, season after season. - M5 alloy Trail Chassis with Stumpjumper FSR rear end blends durability, stiffness, and light weight, while 135mm of travel Trail Geometry provide more than capable handling. - A RockShox Reba RL fork handles suspension up front with ease, soaking up bumpy terrain with 150mm of plush travel. - SRAM's 11-speed GX groupset features a wide gear range that delivers climbing and descending efficiency in spades. On top of this, the one-by setup is notorious for being next to impossible to drop a chain with, plus it provides a significant weight savings in comparison to a standard two-by setup.